There are many ways to make money running a blog. 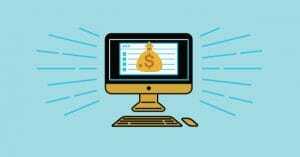 You can run ads that pay you per view or per click. You can set up affiliate marketing and get paid when people click your links. You can “sell” products as a middleman with a dropshipping scheme. You can sell your services as a consultant or a freelancer. You can even open up a store of your own, with products you resell or develop and manufacture. This last method is probably the most resource intensive route to take. Making and selling products without significant funding, research and development, or a truly unique idea can be an uphill struggle. Many retail businesses fail to make ends meet within the first several years, but small businesses often don’t have the funding or the resources to eat those costs. Fresh entrepreneurs end up with debt and broken dreams. Thankfully, in this era of easy web apps and cheap, available-everywhere cloud services, it’s easier than ever to set up a store and get it running. 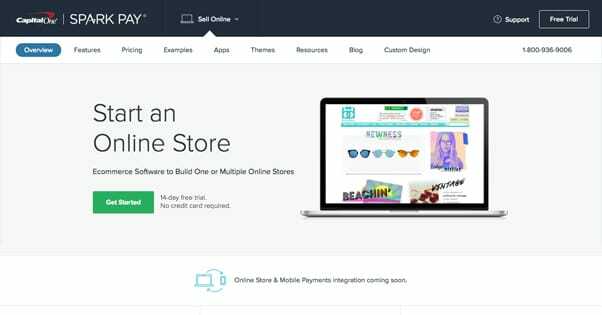 Now, the methods I’m going to suggest to you below are all just ways of building and operating a digital storefront. 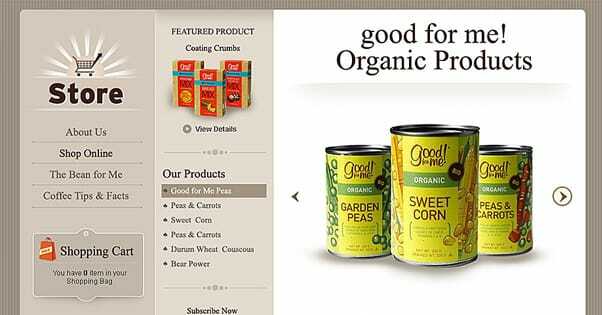 They will handle product pages, transactions, data security, and often a hosted storefront. What they won’t do is help you develop a product, market it, or fulfill customer service requests. You’ll have to figure out all of that yourself. Keep in mind that you’ll only ever need one of these solutions at a time. I’ve provided a variety so that, if you have an existing web presence, you should be able to find something that works with what you have. There are dozens of ecommerce solutions out there; I’ve simply compiled the best in a few different categories. 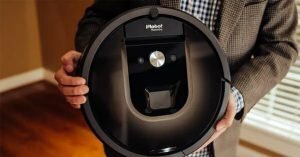 If one of them represents a system you like, but lacks a feature you need, chances are there’s an alternative out there that can solve your problems perfectly. Very, very rarely will you need to develop a custom solution. If you’re looking at developers rather than apps, let me tell you; you’re not looking hard enough. So what means do you have for setting up a store? Here you go. Wix is a website builder that, by default, hosts your content on an example.wix.com domain. The primary reason most people use it is because at the most basic website level, it’s free. You don’t have to pay for hosting or a domain name; you can set up a Wix site and get running in an hour. The WixStore system adds on a professional quality online store. It still has all of the same powerful Wix website building tools, simply turned and tuned towards ecommerce. 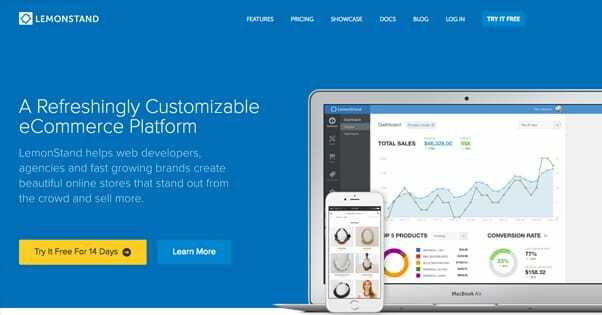 You can build gorgeous landing pages and product pages, while Wix handles all of the sales infrastructure in the back end. Wix is a little limited as a free version. Like WordPress.com, it has a selection of templates and limited customization options. If you want a domain of your own, you need to upgrade to a paid version. The store is available starting with the ecommerce plan, which is just under $17 per month. It has limited bandwidth, though, so if your store grows popular enough you will need to upgrade to the unlimited bandwidth plan at $25 per month. Still, that’s a good problem to have, right? Shopify has everything you need to set up a new business, and I’m not just talking about online. In a unique twist, Shopify happens to integrate features that allow you to take payments and run a store in person and online simultaneously. It becomes your point of sale system and handles your payments and inventory tracking all at once. Shopify also has additional features you can set up, like a Pinterest pin that doubles as a product sales page, a Facebook shop, and even a Twitter buy button. All of these are accessible with the various paid accounts they have available. 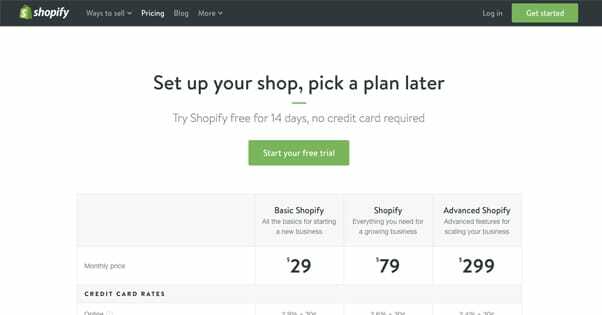 Shopify’s lowest priced account is $9 monthly, which only includes a Facebook storefront and credit card payments. For an upgrade to $30, you get Shopify payments, staff accounts, unlimited file storage, support, fraud prevention, offers, SSL, and a whole bunch more. That should be more than enough for any beginning business. If you want to sell in person, the retail package is an additional $40 for any account. It gives you a POS, a pin pad and scanner, and staff management software. If you took Wix and Shopify, ground them up in a mortar and pestle, poured the cores of each into a syrup and sweetened the whole thing, what you would end up with is something like SquareSpace. 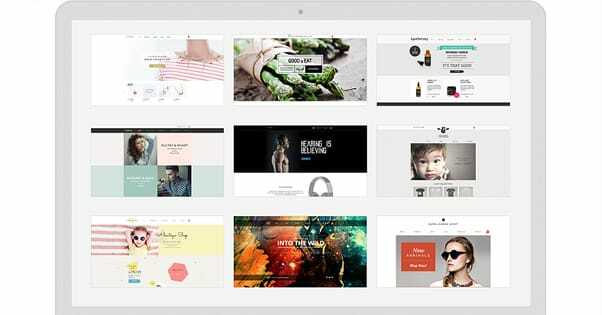 SquareSpace is a hybrid storefront manager and website builder with a wide range of features and an emphasis on style. The basic website builder is free for a trial and runs you $12 monthly for up to 20 pages, analytics, support, and basic ecommerce. 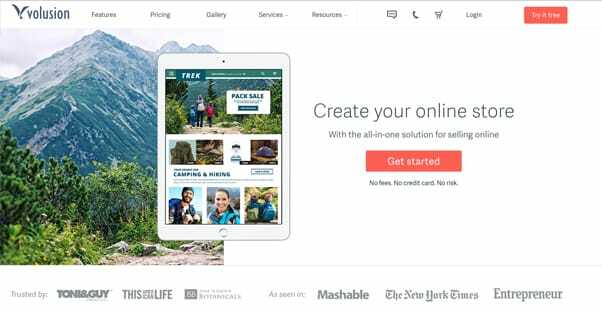 The actual dedicated ecommerce site costs you $26 monthly for unlimited products, integrated galleries, a free domain of your choice, $100 in Google AdWords credit, unlimited storage and bandwidth, and even label printing. You can upgrade to their advanced version to get abandoned cart recovery, real time shipping, and some other features as well. I highly recommend checking out SquareSpace. The reasonable price combined with the robust features make is excellent for just about any starting business. Who among us didn’t run a lemonade stand when they were growing up? I know I did. For most, it’s the stereotypical introduction to commerce, marketing, product fulfillment, customer satisfaction, and resource management. LemonStand harkens back to those days with their branding, but they provide oh so much more support than your parents simply buying you a tub of Country Time powder. LemonStand is designed to sit behind any front-end system you happen to use, from Angular to React and more. It has a custom theme engine using Twig, it has open source themes, and it has revenue sharing for freelancers and agencies. The only downside to the program is that it’s limited by the number of orders you process per month. The cheapest version is $50 monthly and fulfills 200 orders per month. On the plus side, you get no transaction fees, free SSL and a custom domain, among other features. If you’re starting from a successful blog and want to expand into selling products, you don’t want to start an entirely new website. You probably want something that integrates easily with your existing blog. Since the most popular blogging platform in the world is WordPress, I’m assuming that’s what you’re using. That’s why WooCommerce is one of the best options for existing bloggers. 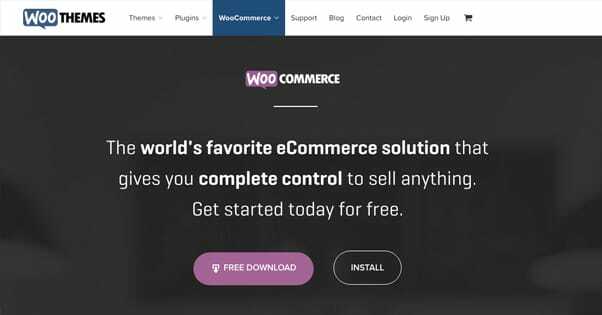 Boasting that it powers over 37% of all online stores, WooCommerce is an incredibly popular and powerful platform. 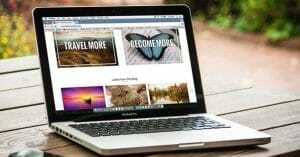 You can sell anything, digital or physical, from your existing WordPress blog. You can process payments through Amazon, Stripe, PayPal, and a bunch of other options. You control everything, you have deep analytics, and best of all it’s all based on WordPress. That means all the rest of your plugins and add-ons are still available to give you that much more data and control. It would be a huge faux pas if I were to talk about the biggest blogging platform in the world and only give you one possible option out of the many available. WooCommerce is great, but it’s not the only option available. Maybe you don’t want to use it as is, or maybe you’ve had a bad experience. Either way, WP eCommerce is one possible solution. 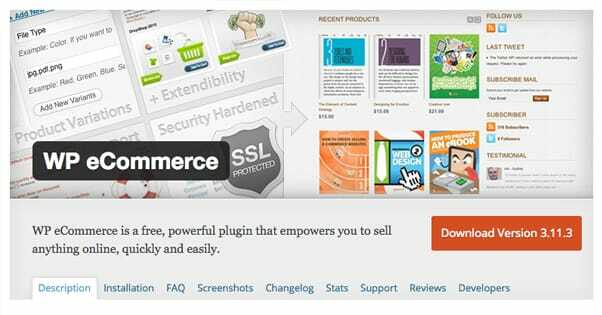 This plugin has existed since 2006 and has aggregated a high 4.6 rating from WordPress users. It has both html and css customizations, dozens of possible payment gateways, expansion modules to give you more features, and a robust set of hooks to help developers create third party apps and plugins for it. Sure, it’s a bit weird for a plugin to have plugins, but that’s the nature of the beast. I already mentioned that Shopify can run a store on Facebook for you, but I honestly don’t think it’s the best option if you’re dead set on running a store through Facebook. For that, I would turn to BigCommerce. 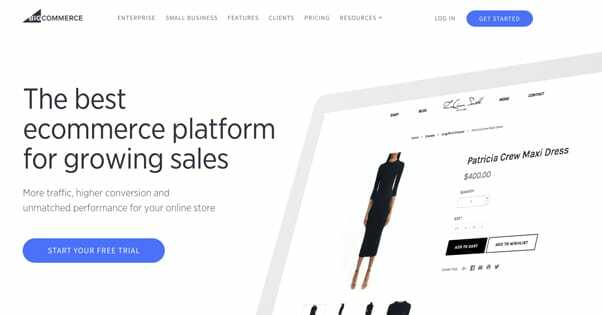 BigCommerce is designed both for small businesses and for enterprises, which is important for a business that intends to grow. If you’re starting small and have big ambitions, it’s nice to use a system that will grow with you. With BigCommerce, you can completely customize your storefront. You have secure hosting for your sales app, as well as traffic driving features. You can accept a whole range of payment processors, handle shipping and fulfillment, and integrate with apps for the app. All of that starting at $30 per month. 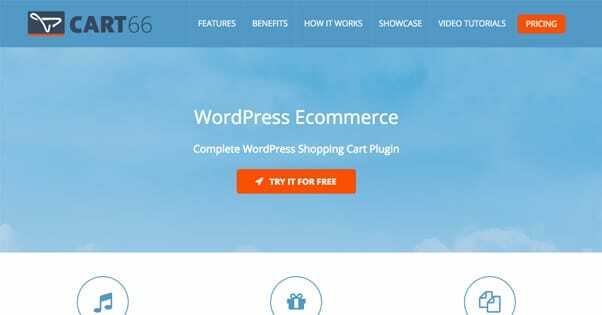 Cart66 is another option that integrates primarily with WordPress, but I didn’t include it because it frankly doesn’t stand up in a 1:1 comparison to WooCommerce. Instead, it’s made for a few specific and tertiary uses in sales online. Do you have a product you sell on a recurring basis, like a subscription box? Do you have a paid section of your site you want to sell memberships for? Do you want to drip content to members over the course of a month? These are all the key features of Cart66. It’s designed to help you sell products that you sell time and time again to the same people, without having to get them to come back and buy every time. Sometimes you have something to sell that isn’t physical. Digital goods are still goods, and there are plenty of existing ways to sell some of them. You can sell ebooks on Amazon or Barnes and Noble. You can sell music through Bandcamp or SoundCloud. These are all fairly rigid options, though. They tend to have stiff terms for cuts for the host site, and while they may be good free options, they don’t cut it for a serious business. Plus, what if you want to sell something different, like a video course? You need a dedicated solution. 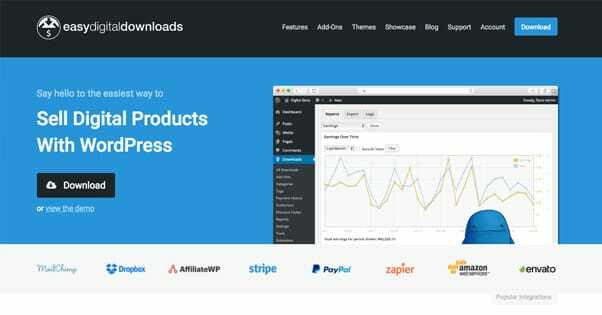 EasyDigitalDownloads is a robust, general-digital-product sales engine that hooks into, you guessed it, WordPress. It’s unique in that it doesn’t bother with all of the shipping and fulfillment options; it’s strictly for accepting payments and serving digital content. If that’s all you need, it’s by far the best option with the least extraneous features. For years, Americommerce was one of the top names in payment processing and hosted storefronts. Then, not so long ago, they were approached by Capital One to form a partnership. This partnership turned into a purchase, and Capital One has since transformed them into SparkPay. The currently existing SparkPay is like any other managed storefront, and it’s not really that much better than anything else on this list. So why do I list it? Two reasons. First, since it’s backed by a big bank, it has some excellent financial perks you can’t get with third party apps. Second, it’s designed to quickly and easily allow you to run more than one business site at once. If you want to open three varied and unrelated stores, you’re free to do so, and all with the same management system. It’s a niche need, but for those who need it, it’s an absolute godsend. Did I save the best for last? That’s for you to decide. Volusion starts at $15 monthly and gets you unlimited storage, no transaction fees, online support, mobile storefronts, a Facebook store if you want it, and sales for up to 100 products. Upgrading to the $35 tier gets you additional ratings and reviews, newsletters, and abandoned cart restoration. The most popular version, at $75 monthly, bumps your limit to 10,000 products, gives you phone orders, a CRM, eBay integration, and more. Then you have the unlimited plan for $135. Volution is one of the more stylish storefronts out there as well. It’s honestly quite slick, and you may be impressed by the feel alone. Of course, that’s a personal decision, so check it out and let me know what you think.